New Italian PM has style. Can he deliver on substance? Italy has a new government, headed by the former mayor of Florence, Matteo Renzi. It faces great expectations, because of the dazzling career of Renzi, which has seen a generational clash and the “rottamazione” (scrapping) of the old political elite. Renzi is young, active on social networks and dynamic. Half the member s of his government are women. The youngest government in Italian history, it is said to symbolise the new style he wants to bring into the politics of the bel paese. In his confirmation speech, Renzi promised one major reform per month over the next six months. Even if he delivers only half as much, he will be leading the most productive government in the history of the republic. Yet, these hopes are not likely to be fulfilled. 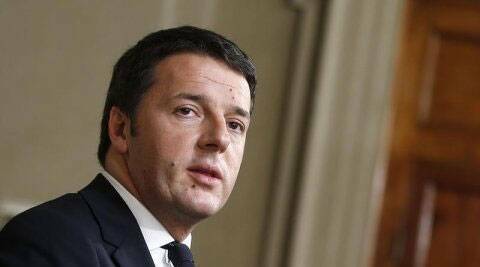 To begin with, in the next few months Renzi may be confronted with political trouble. He was not elected but became prime minister by ousting his predecessor (a member of his own party, the centre-left Democratic Party), a manoeuvre reminiscent of the old political rituals that Renzi claims to be fighting. This has created serious discontent within his own party. Further, the majority supporting Renzi is the same, a sort of forced grand coalition that emerged from the gridlock of last year’s elections, and which, because of its heterogeneity, virtually paralysed the previous government. Finally, many are dismayed by Renzi’s tacit pact with former prime minister Silvio Berlusconi, who had been marginalised in the last few months. Many voters from the left had supported Renzi in spite of his centrist positions, because of the argument that he was the only person capable of winning against the right. But political problems are only one aspect of the difficult times ahead for Renzi. The Italian economy is going through a rough patch, having been hit harder by the economic crisis than any of its G-8 partners. The GDP today is at 1999 levels, 9 per cent lower than when it peaked in 2007. Long-term structural problems are compounded by the high levels of debt that made the country vulnerable to the sovereign debt crisis that started in Greece. Within the current European framework, Italy has very little room to sustain its aggregate demand, which has collapsed since 2008 (it went down by 12 per cent). The level of distress in Italian firms and households is quickly approaching a level that could trigger a spiral like the one we saw in Greece. There must be action to prevent that from happening. In the short run, there is little that can be done to sustain income and domestic demand apart from initiating a fiscal expansion (a serious programme of public investment), and taking decisive action to ensure that the banking sector resumes lending to the private sector. As far as the first is concerned, one would have expected Renzi to focus on common European action (the fiscal autonomy of EU countries is limited). Instead, he renewed his predecessors’ commitment to austerity. True, he promised renewed investment in school buildings. But he did not indicate, for this as for other measures, how they would be financed within the current EU limits. Instead, Renzi’s flagship measure is a “Jobs Act”, which would simplify the Italian labour market. This is problematic in two respects. First, the Italian labour market has already been made significantly more flexible. True, it is still somewhat baroque, and is divided between highly protected insiders and precarious outsiders. But if one were to think of bottlenecks hampering long-term growth in Italy, widespread rents in other sectors (utilities and banking are examples that stand out) seem to require more urgent attention. Yet they are nowhere to be found in Renzi’s economic programme. Second, the effect of further liberalisation of the labour market would most probably be a short-term increase in unemployment (which is already a record 12.9 per cent), as Spain’s experience shows. This aggravates the short-term problems of the Italian economy. Economist Dani Rodrik recently argued that the right time for structural reforms is a period of healthy growth, which would make them less painful and increase the probability of success. Renzi seems condemned to act fast, in order to maintain public support for his actions and overcome political obstacles. Unfortunately, this appears to be leading to misplaced priorities in his policy agenda that are unlikely to solve the serious problems Italy faces. The writer is senior economist at OFCE Sciences Po, Paris and teaches at the School of Government and Public Policy, Indonesia. He served as senior economic advisor to the Italian prime minister (1999-2002).